Bananas are high in potassium which is very good for your heart. Potassium is a mineral electrolyte that keeps electricity flowing through your system, thereby keeping your heart in top shape. According to renowned nutritionists having such high potassium content and low sodium levels, bananas can keep your blood pressure at safe levels and prevent cardiovascular problems. These fruits are great for alleviating depression and stress owing to the presence of tryptophan, a compound that the body converts to serotonin; the chemical you need to be happy. Your mum might sing endless praises to the carrot for giving great vision but bananas also have a role in it. They have significant amounts of vitamin A which is needed to maintain normal vision and protect the eyes. Bananas are rich in fiber, a nutrient needed to regulate digestion and create a full sensation to prevent overeating. Vitamin B6 helps people sleep better and helps prevent type 2 diabetes not to mention aiding in weight loss. There is evidence suggesting that bananas have the ability to ward off certain types of cancer. Eaten in moderation, the fruit is said to reduce the chance of kidney cancer thanks to high levels of phenolic and antioxidant compounds. Besides the fruit, the inside of a banana peel is a useful home remedy for stained teeth. Rub the peel on the surface of your teeth and let it sit for about two minutes before rinsing off and brushing as usual. Repeat this every day and soon you will have brighter, whiter teeth to show off. Adding a banana to your daily diet is a great choice that will improve bowel regularity and therefore keep your colon healthy. Ripe bananas are a useful ingredient of skin regimens for people who want to boast smooth, glowing appearance. The antioxidants prevent cell damage and encourage rapid replacement of dead cells to guarantee people youthful skin. Bananas pack hefty benefits but moderation is important if you want to enjoy them fully. 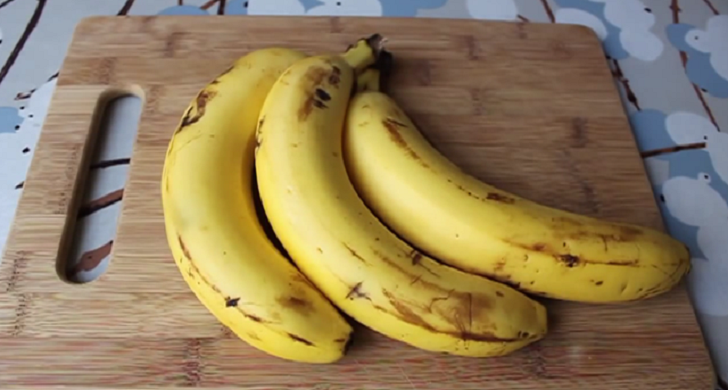 A banana or two is enough to get your heart beating properly or perfect your eyesight. If you eat too many fruits you are likely to build up your blood sugar or spike the potassium in your system so high that it causes you harm. You should also try to get the healthiest, most fresh bananas you can find as unripe fruits aren’t that palatable.